One of the country’s most celebrated chefs, Margarita Forés is now Cavaliere dell’Ordine della Stella d’Italia (Knight of the Order of the Star of Italy), after being knighted by Italian Ambassador Giorgio Guglielmino. Forés joins the ranks of other notable Filipino figures who have acquired “special merit in the promotion of friendly relations and cooperation between Italy and other countries and the promotion of ties with Italy.” Forés has been specifically knighted for her contributions to the promotion of Italian food and wine and service to the Philippines. Asia’s Best Female Chef for 2016 by The World’s 50 Best Restaurants awards reminisced in an Instagram post her first trip to Italy with her mother, Maria Forés when she was 10. Since then the restaurateur behind Cibo di M has gone in subsequent trips to the country and has been part of several events and functions hosted by the Italian embassy in Manila. In 2012, she was invited by the then Italian ambassador Luca Fornani for a food festival celebrating Filipino culture where she demonstrated how to cooked sinigang in a town piazza. 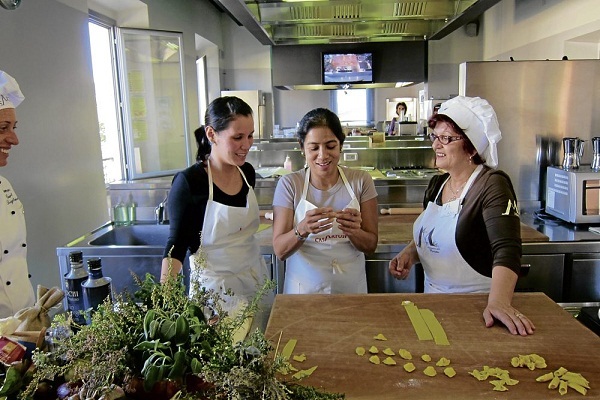 During the same year, Gaita was appointed by then mayor of Forlimpopoli, Paolo Zoffoli, to open the Manila satellite campus of Casa Artusi, a premier Italian cooking school. For a person to be knighted, they have to be endorsed by an Italian ambassador to the prime minister, who will then send it for signature and final approval to the Italian President. The Order of the Star of Italy was originally the Order of the Star of Italian Solidarity founded in 1947. The word “solidarity” was dropped in 2011 to expand the qualifications for knighthood from post-war reconstruction contributions to the preservation and promotion of Italian culture there and abroad.